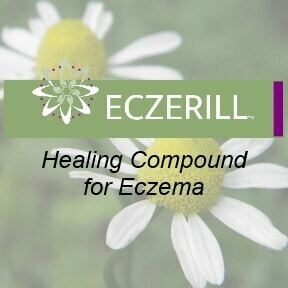 Cools and soothes irritated or inflamed skin. It can be used on cuts, scrapes, wounds, and even insect bites. 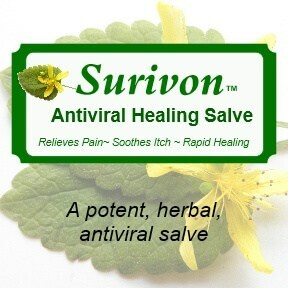 A natural way to help heal herpes, cold sores, and other viral skin conditions. Lemon Balm can also be used on shingles and chicken pox sores to help them heal more quickly. 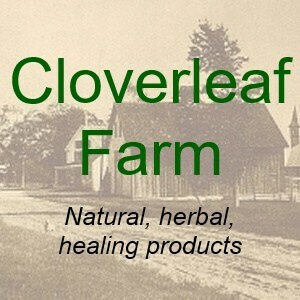 Cloverleaf Farm’s Organic Lemon Balm Ointment/Salve cools and soothes irritated or inflamed skin. 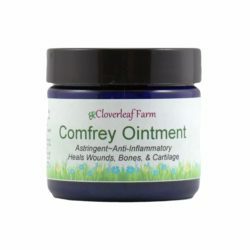 It can be used on cuts, scrapes, wounds, and even insect bites. With it’s wonderful anti-viral, anti-septic and anti-inflammatory herbal properties, Lemon Balm is a natural way to help heal herpes, cold sores, and other viral skin conditions. 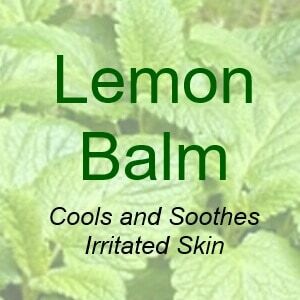 Lemon Balm can also be used on shingles and chicken pox sores to help them heal more quickly. 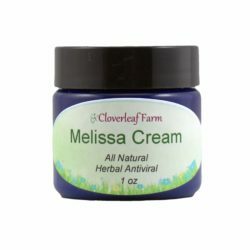 Lemon Balm’s botanical name, Melissa officinalis is derived from melissa which is the Greek word for honey bee. Scientific studies show that the tannins include polyphenols. It is the polyphenols and citral in Lemon Balm herb that gives it it’s antiviral properties. Our Organic Lemon Balm ointment contains a base of almond and apricot oil, with lemon balm herb. 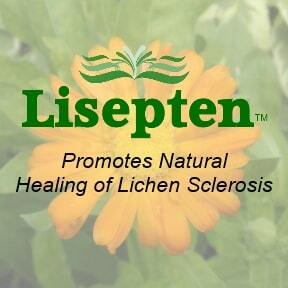 We allow the oil to absorb all the herbal medicinal properties of the lemon balm plant. We then add beeswax and add 100% pure organic lemon essential oil as a preservative. Which Lemon Balm Product Should I Use? Our lemon balm ointment, when used regularly, can help prevent future outbreaks. It’s a perfect “maintenance” salve. 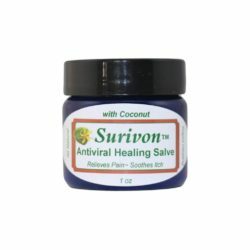 This lemon balm salve is excellent for regular and general use. 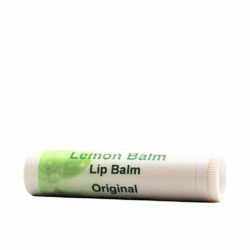 It is our most popular lemon balm product. For more serious outbreaks, use maximum strength Surivon. 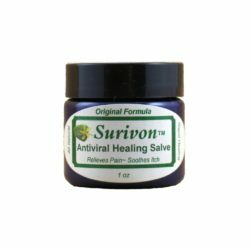 Many order the lemon balm product on this page for use between outbreaks and use Surivon when cold sores/outbreaks are at their worst. Apply to affected area every 3-4 hours. Be sure to wash hands before applications. 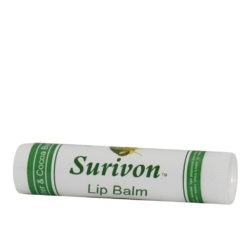 If using on herpes cold sores, be sure not to put your fingers back into the container after applying. This may contaminate the rest of the container. For external use only. Lemon balm leaf in apricot kernel & sweet almond oils, beeswax, lemon essential oil. Thank you for a great product, its just what I was looking for. 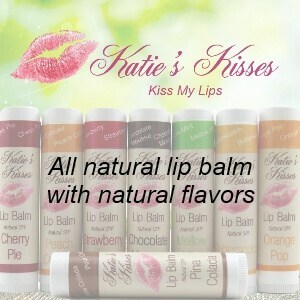 Pure ingredients, good variety of other products, a fair price, excellent order process! Arrived very quickly, with order confirmations, and tracking info. I will order again!